This article is considered accurate for the current version (1.6) of the game. Ireland is an island nation in Western Europe. It shares an island with the United Kingdom. In the early 20th Century, Ireland experienced increasing tensions in a seven centuries long conflict over English and British rule in Ireland. Since the 1880s, Irish constitutional nationalists had demanded self-government or “Home Rule” within the British Commonwealth. Supporters of true independence were then a small minority. In 1912, Britain accepted these demands. But pro-British unionists in the northern state of Ulster formed paramilitary groups to oppose it, and Irish groups responded in kind. The outbreak of WWI in 1914 stalled both the crisis and implementation of Home Rule. On 24 April 1916, the “Easter Rising” armed rebellion sought an independent Irish Republic. It had little public support at the time, but Britain's heavy-handed and indiscriminate response to it shifted Irish opinion, beginning a cycle of escalating “physical-force republicanism” and UK reprisals against combatants and civilians alike. This fueled the political rise of the republican Sinn Féin party and its military wing the Irish Republican Army. The year after WWI ended, the 1919 Irish War for Independence began. By June 1921, a de facto Irish Republic existed but so too a bloody stalemate with no end in sight for either side. The British government, facing intense criticism at home and abroad, offered a truce, which the weary Irish gladly accepted. Contentious negotiations resulted in the Anglo-Irish Treaty of 6 December 1921, establishing the Irish Free State as an autonomous dominion of the Commonwealth. Northern Ireland voted to remain part of the United Kingdom. The Treaty, falling short of a republic, divided the Irish and, in June 1922, the Irish Civil War began. Pro-treaty IRA members, now as the National Army, fought their anti-treaty IRA brothers and Sinn Féin. After 10 grievous months, the pro-treaty forces won. But the war left Irish society divided and embittered for generations. It also allowed Northern Ireland to consolidate its holding of otherwise Irish nationalist counties. In 1932, the anti-treaty Fianna Fáil party became the majority. They were led by Éamon de Valera, who had been head of the 1921 Irish Republic and subsequently a leader of Sinn Féin but had left in 1927 taking a large faction with him. Ireland still reeling from the Great Depression, de Valera stopped remittance to Britain of farm debts from the 1880s. Retaliatory tariffs by both sides left the Irish economy badly hurt but this Anglo-Irish Trade War ended in the return of military ports to the Irish. This later allowed Irish neutrality in WWII but left British shipping vulnerable to German u-boats. 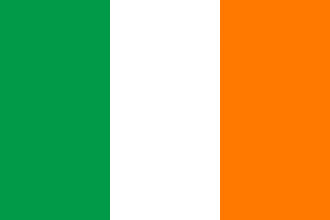 In 1937, a new constitution was passed which dismantled much of the United Kingdom's control and changed the country's name to Éire, or Ireland. On 1 September 1939, German troops invaded Poland, precipitating war with the Allies. On 2 September, the Emergency Powers Act 1939 was introduced to grant government control of the economy and other sweeping powers. However, Ireland remained neutral throughout the war, despite attacks by both sides on their shipping as well as pressure from the US and a British offer to "give back" Northern Ireland to join the Allies. Nonetheless, following discovery of IRA attempts to coordinate with the Nazis, the Irish secretly coordinated planning with the UK to defend Ireland from Nazi invasion as a matter of common concern. They also tacitly provided information and preferential treatment to the Allies. Ireland, lacking a unique national focus tree, uses the generic national focus tree instead. Ireland starts with 3 research slots. Ireland has a core on the United Kingdom's Northern Ireland state. Ireland has 5 civilian factories and 1 military factory in Lenister and 3 civilian factories in Munster. It has 4 more building slots in Connaught and 1 building slot in Munster. Ireland's resources are in the state of Lenister. Ireland has a small military, consisting of one infantry division based in Dublin. Their Infantry consists of only 9 infantry battallions within 1 division. They have no air force. Have a good strategy for Ireland? This page was last edited on 5 April 2019, at 20:33.